Tibetan monks use tingshaw to sound the beginning and end of a meditation. You can use this chime in much the same way. The two rods are purposely tuned to nearly , but not quite, the same pitch. When both are struck at the same time, an acoustical phenomenon known as "beating" is produced. 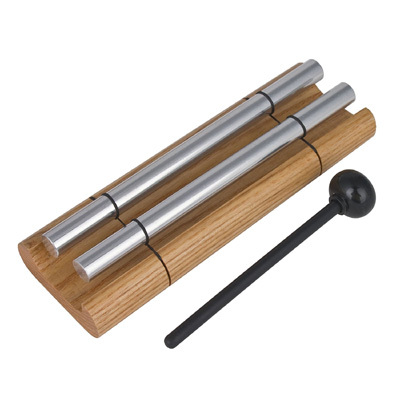 The rods will sing with the same pitch, but you will notice a distinct pulsation or rhythm. The enclosed listening exercises can help heighten your sensory awareness and focus your attention at the beginning of a meditation.